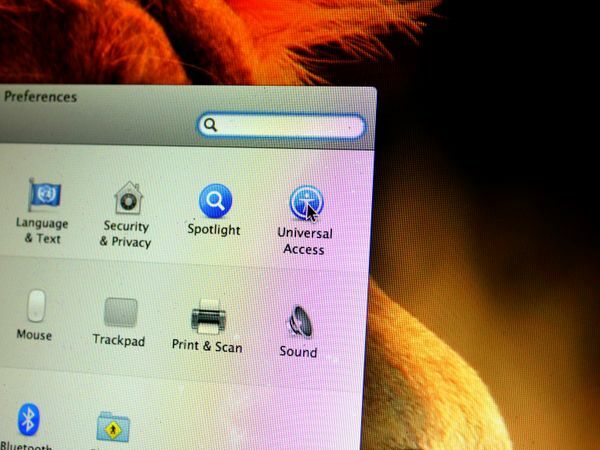 OS X Lion includes a great new feature known as Picture in Picture Zoom, which provides you with the ability to zoom into an area of your Mac desktop while you work. 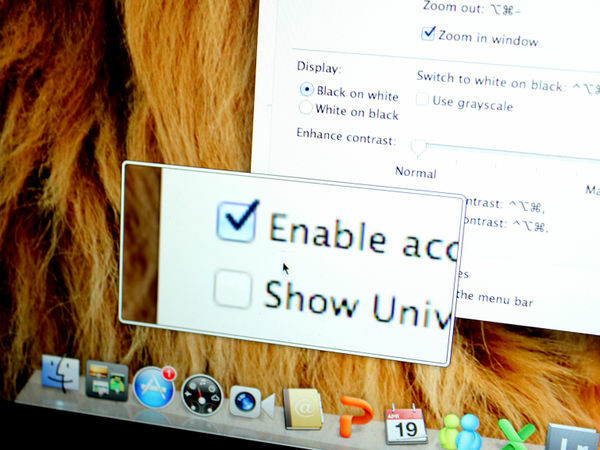 As well as being an invaluable feature for the visually impaired, Picture in Picture Zoom can be useful if you are demonstrating a process on your computer and wish to zoom in the explain what you are doing. 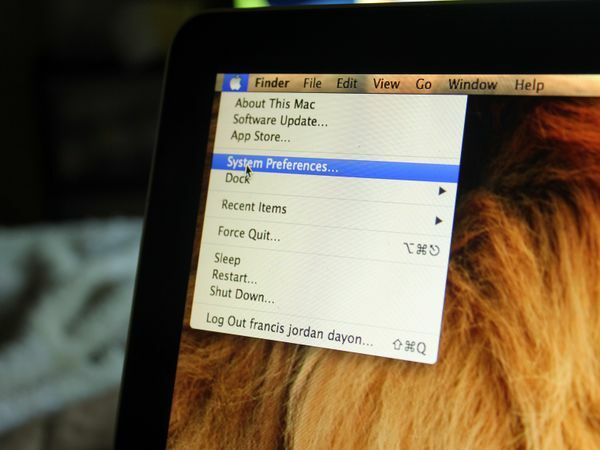 Select "System Preferences" from the menu. 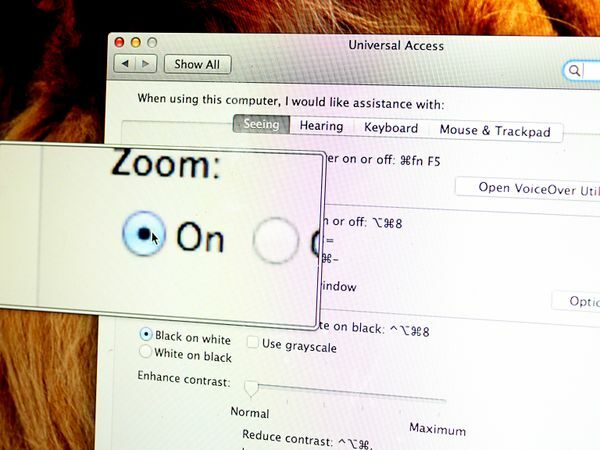 Then, click the checkbox marked "Zoom in window," and click the "On" button next to "Zoom." When you click the "On" button, a zoom window should appear. 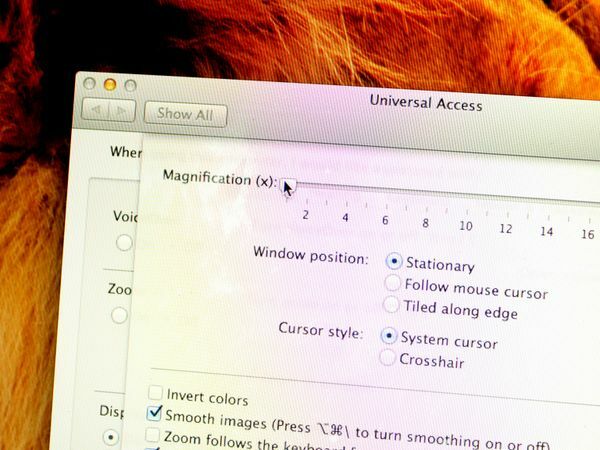 It will track your cursor as you move it, zooming in on anything in its path. 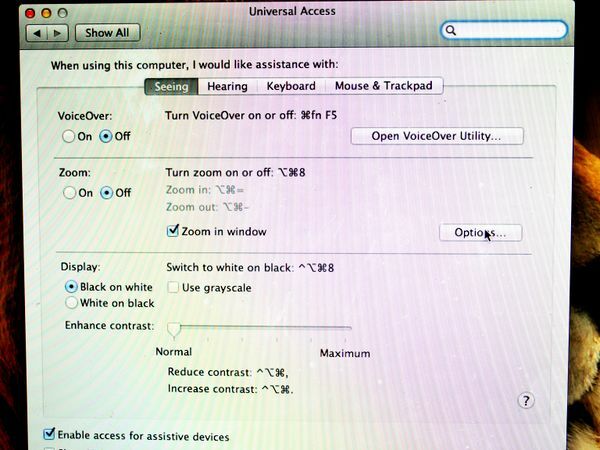 A number of options exist to change the way that Picture in Picture Zoom works. 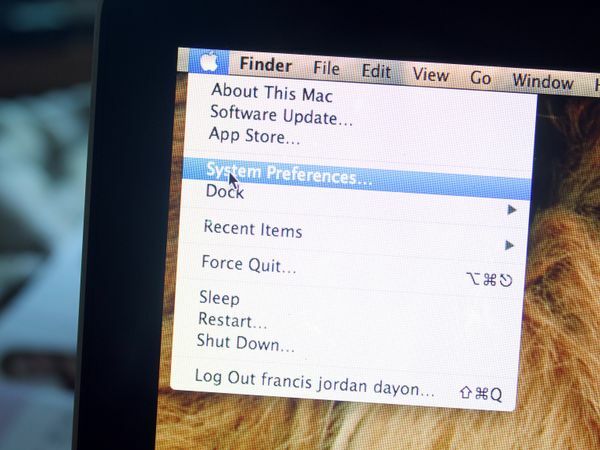 To do so, drag the top slider left or right. 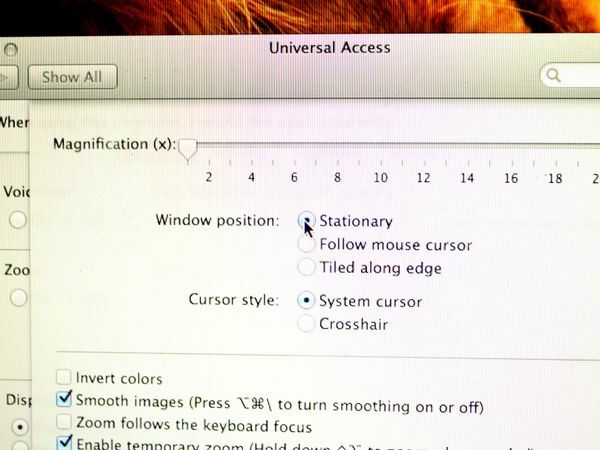 If you would rather have a stationary zoom window (instead of one which moves with the cursor), press the button next to "Stationary. "Alternatively, you can choose "Tiled along Edge." This will display the zoomed area along the left edge of your screen. 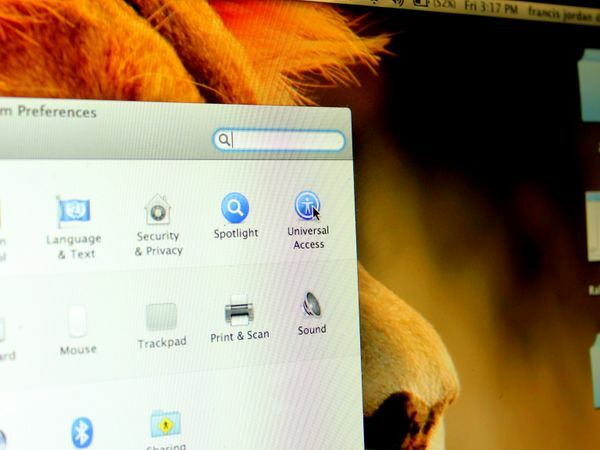 If you choose the "Stationary" option, you can control where on your desktop the zoom window appears, as well as how much space it takes up. Click the "Adjust Size and Location" button, then drag the box that appears to your chosen place. You can change the size of the box by dragging the corners. 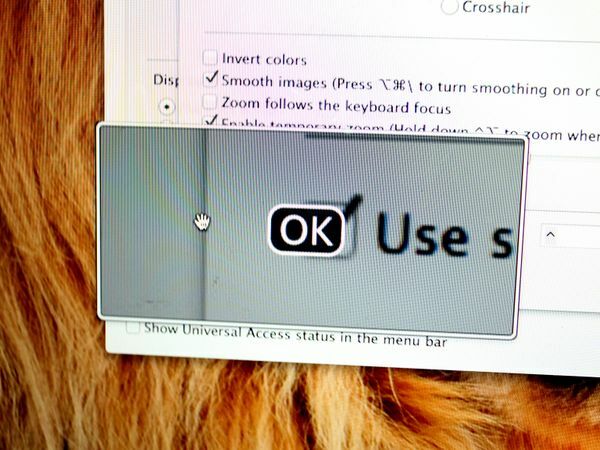 Click the "OK" button when you are done. 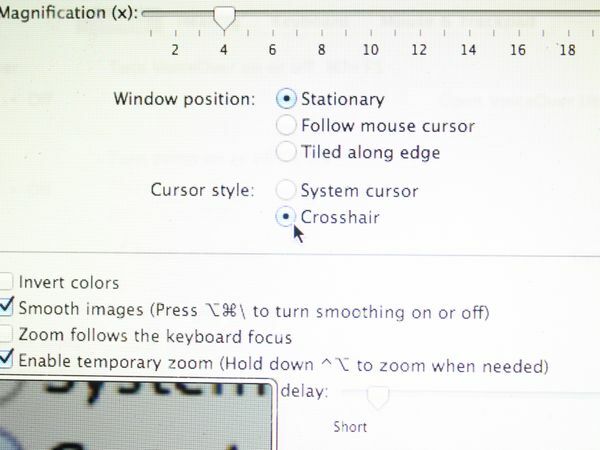 Click the "Crosshair" button if you would rather see a crosshair style cursor in the zoom window (instead of a normal mouse pointer). If you can read better with a black background, tick the "Invert Colors" box. 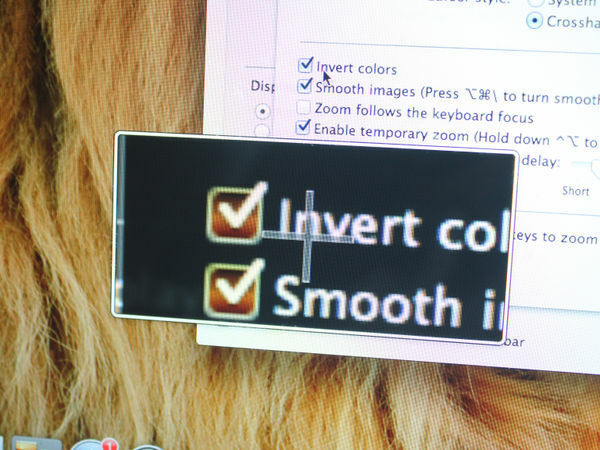 This will invert all of the colors in the zoom box.